No waste of cables and connectors and termination materials. Pre-tested and test reports available for each single fiber. Made after the customer’s requirements, tailored to the specific case. Pulling socks, strength elements and protection tubes available. 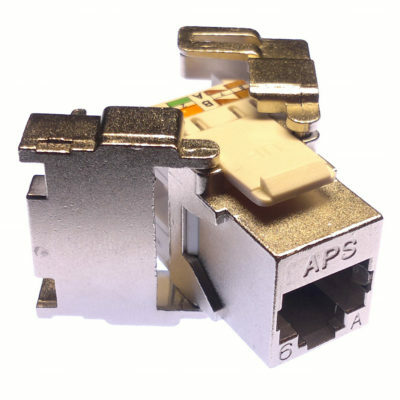 SC, LC, MU, ST, FC, MT-RJ, and MTP connectors available. Halogen Free Fire Retardant / Low Smoke Zero Halogen available. 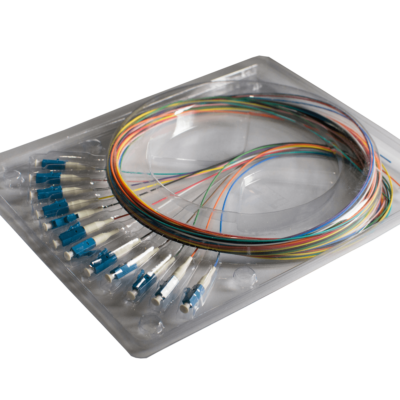 Maximise your project with the APS failure-free, installation-ready preterminated fiber optic cables. 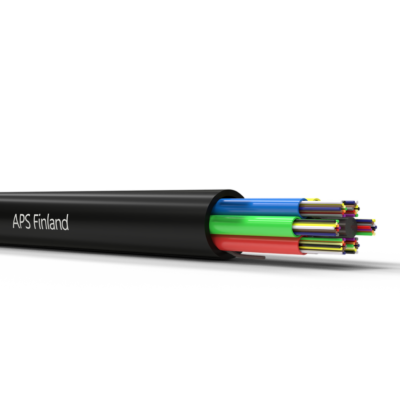 APS designs and delivers factory terminated fiber optic cables for various projects, from the biggest data center to the smaller LAN or industrial networks, with no minimum quantity required. Cables are made from high quality components, according the latest editions of the applicable standards or customer’s requirements, with each single terminated fiber tested. The use of APS factory terminated cables minimizes the risks of the installation failures that might happen when terminating cables on site, due to the often non-optimal conditions at the site. 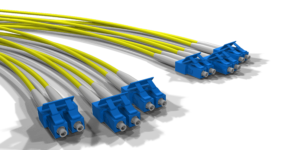 Our pre terminated cables are available with both modular connectors than with MTP connectors and they are always done in accordance to the customer’s specification or requirements, to answer fully to the needs of each specific installation. The high standards of our manufacturing and testing processes ensure the installation will benefit from products of the highest quality. At APS we are very strict with the quality of our polishing process and with the compliance of each single terminated fiber with our own internal as well as with the applicable standards. In fact, we pay a lot of attention that the mechanical connections, the reflection coefficient, the attenuation values and the geometry of the connector’s head are up to the standards and requirements. Tests are done in accordance with ISO standards. The geometry of the fiber is tested with interferometer. APS is offering a range of options that are virtually covering all requirements and applications. Our scope of supply includes both silica fiber SM (G652, G657, G655) and MM (50 and 62,5 OM1, OM2, OM3, OM4, OM5) than Plastic Fibers (POF) while the cable used are as much as possible tailored to the customers’ or project requirements, be for indoor, indoor/outdoor or outdoor applications. Product configurator : for a faster response please download APS “Preterm Configurator”, fill it in with your requirements and email it to your sales representative. Always up to date with the latest trends and technologies, APS keeps designing optical fiber cables to meet the new challenges of the telecommunication and data industries. 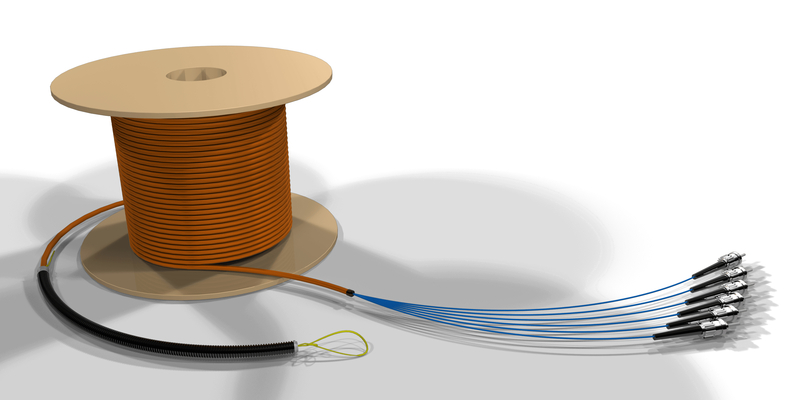 Being space and growing data traffic being these days the main issue others, we have designed cables like MCHF and MIFFE for the installation of high fiber counts in packed indoor environments like datacenters. These cables are available in range from 4 to 288 cores. These cables save significant amount of the space that cables are taking in the group of typical sisä- ulkocables. These valmiskaapelit can be used also for the teollisuus standard MPO (MTP®). This way we are making sure of the highest kuitutiheyden and joustavimman runkoverkon liitettävyyden ratkaisut datakeskuksiin ja lähiverkon asennuksiin.